The mitochondria are the powerhouses of our cells: they produce more than 90% of the energy we need to sustain life, fuelling every aspect of cell differentiation. Without mitochondrial ATP (adenosine triphosphate), multiple symptoms can occur depending on which cells are affected. Photo source: The Keith R. Porter Collection, Center for Biological Science Archives, University of Maryland, Baltimore Country, with permission. This ATP also has a crucial signalling function. The mitochondrial orchestration of our metabolism is gradually gaining mainstream recognition. Professor Geoffrey Burnstock from University College Medical School, London, who has been working in the field for over 50 years, was the first to show that ATP acts as a signalling molecule. As he wrote in a seminal article in Scientific American in 2009, The double life of ATP: The molecule ATP, famous as an essential energy source inside cells, also carries critical messages between cells. That dual role is suggesting fresh ideas for fighting human diseases. Mitochondrial dysfunction is therefore a key factor in a vast number of chronic conditions. ME is one of the most extreme conditions along this spectrum. Fibromyalgia is another, often caused at least in part by the extracellular lactic acid build-up when mitochondrial ATP generation is blocked. Cardiovascular disorders are a further instance: angina is a sign of mitochondrial energy lacking in the myocytes (muscle cells in the heart). 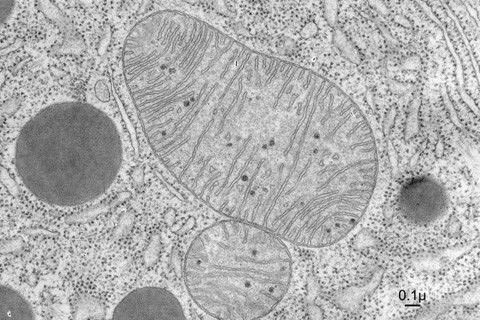 The first stage of detoxification takes place in the inner membrane of the mitochondria: imagine how this can disrupt cell and organ function if mitochondrial function is impaired. Mitochondrial dysfunction involves much more than just an energy deficit: cells also lose their ability to orchestrate our cellular metabolic processes. Nutritional therapy is a vital first pillar, supported by an extremely sensitive IgG 1-4 food antigen test that has proved effective in quelling hyperimmunity in the gut. This can sidetrack so much ATP (immune reactions all require ATP to fuel them), as well as be a severe barrier to uptake of nutrients. Mitochondrial balance is vital, whether you simply seek to achieve maximum performance in everything you do, or are struggling with a health issue where mitochondrial dysfunction may be at play. AONM has experts in Cell Symbiosis Therapy®, a mitochondrial approach developed in Germany. Please contact AONM without any obligation if you would like to find out more.